EVO Mail Server - An ideal on-premise IMAP/POP3/SMTP mail server solution for both business or personal use. Through ECO add-in, Outlook not only syncs IMAP mails with EVO Mail Server, but also syncs contacts, calendars and tasks with CardDAV, CalDAV and WebCAL. ECO makes your desktop and mobile devices walk at the same pace. Your business information is updated no matter where you are. It enables Outlook 2007, 2010, 2013, 2016 and 2019 to synchronize with contacts, tasks and calendars from iCloud, Gmail, Outlook.com (Windows Live Hotmail), 163, QQ, MAC OS X Server, Kerio Connect, MailEnable, Zimbra, Synology, Baikal, SOGo, Kolab, Toodledo (task only), DaviCAL, and OwnCloud. EVO Mail Server has all four elements of being a groupware: mail server, contact, calendar and task. Its support on IMAP, CardDAV and CalDAV provides cross-platform information exchange between desktop and mobile devices on daily routine. With EVO Mail Server as the backend, Outlook, iPhone and Android can all share mails, contacts, calendars and tasks between each other and form a complete groupware ecosystem. Outlook 2007, 2010, 2013, 2016 or 2019 plays a vital role in term of office productivity in communication. However, there are some features missing, such features are auto-BCC, Gmail Push Notification, and standardized import/export on contacts, calendars and tasks. Power Toys for Outlook is a collection of Outlook add-ins that provides these useful features. Outlook is important in our daily office job to communicate with others. However, there are some features missing, such features are auto-BCC,(Blind Carbon Copy), Gmail Push Notification, and standardized import/export on contacts, calendars and tasks. Power Toys for Outlook is a collection of Outlook add-ins that provides these useful features. EVO Mail Migration assists you to move all mails from your old mail server to EVO Mail Server. It retains all mail attributes and folder structures. Mail filtering options are available to help you. Also, EMM displays both overall and individual mail migration progress. On the other hand, your precious contacts, calendars and tasks can be migrated through ECO’s C2C (Cloud-toCloud) feature. 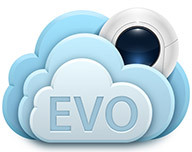 EVO Mail Server is customized according to the needs of small and medium size business. It receives both IMAP and POP3, performs mail backup, monitors mails, sustains in bulk mail delivery environment, and provides mail migration tool. 1. Have your domain name ready. 3. Prepare a server on both hardware and software. 4. Install and configure EVO Mail Server. 5. Create mail account and test it on mail client software. 6. Calibrate parameter settings if necessary. 1. Create a mail server following steps above. 2. Install EVO Mail Migration. 3. Synchronize mails from old mail server to EVO Mail Server in EMM. 4. Move mails to corresponding folders under each individual mail account.